The greatest tragedy of the Jussie Smollett saga would be if it discouraged anyone from coming forward to report a hate crime, according to leading LGBT anti-violence organizations. The Matthew Shepard Foundation, which helped expand the federal hate crime law to include offenses motivated by sexual orientation, gender or disability, said 410 hate crimes have been documented since Smollett’s case came to light. “While we are absolutely dismayed that somebody with such a high profile would fake a hate crime, we want to remind everyone that false reports are the exception, not the rule,” the foundation tweeted Thursday. Cathy Renna, a longtime LGBTQ activist, said Smollett’s case could also give new ammunition to anti-gay groups looking to minimize the issue. 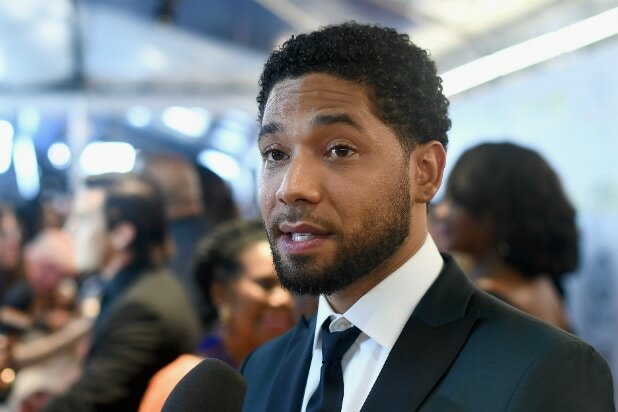 “The most striking thing about this entire situation is that the media has spent more time, more energy and more resources on a hate crime that may not have even happened than it has on the more than 400 real hate crimes that have been reported since Smollett’s case,” Renna told TheWrap. But the Shepard Foundation said about two-thirds of all hate crimes go unreported. On Thursday, police said the “Empire” actor had staged an attack because he was unhappy with his salary. In late January, the black and gay actor told investigators that two men attacked him while shouting racial and homophobic slurs and referencing “MAGA.” Police said it was all made up. Now Cruz is forced to remind the public that Smollett’s case is an “anomaly.” The organization said several cases of violence against LGBTQ people have been reported since mid-January, and that none have received as much attention as Smollett’s. Among the cases cited by the Anti-Violence Project: On Jan. 19, just 10 days before Smollett talked to police, a gay couple said they were brutally attacked for holding hands in downtown Austin. (The men suffered broken bones, lacerations and memory loss). Just eight days later, on Jan. 27, a black transgender woman was shot in Houston parking lot. (She survived). That same day, a 50-year-old man said he was jumped by four men and a woman outside a gay bar in Philadelphia. (The victim was sent to the hospital and treated for a head injury). Last week, a gay man living in Salt Lake City was punched after his assailant asked him if he was gay. The attack was caught on video, which has since gone viral. According to a study by the National Coalition of Anti-Violence Programs, the severity of the hate crimes has also increased in recent years. NCAVP recorded 52 reports of hate-related homicides in 2017 — the highest number ever recorded in more than two decades of collecting data. “As we learn more details about Jussie’s arrest, we remain focused on the urgent fight against the very real issues of racism, homophobia, and hate violence,” GLAAD, the nation’s largest LGBTQ media advocacy group, and Color Of Change, the nation’s largest online racial justice organization, said in a joint statement Thursday. The statement came with statistics from the FBI, which show reported hate crimes in the U.S. rose 17 percent last year, the third consecutive year that such crimes increased. The center cited a recent study released by the Center for the Study of Hate and Extremism that shows hate crimes in the country’s largest cities increased for the fifth consecutive year in 2018 — with Los Angeles receiving its highest number of hate-crime reports in a decade. If you or someone you know is experiencing harassment or assault, contact the Anti-Violence Project’s 24-Hour Bilingual Hotline: 212-714-1141.